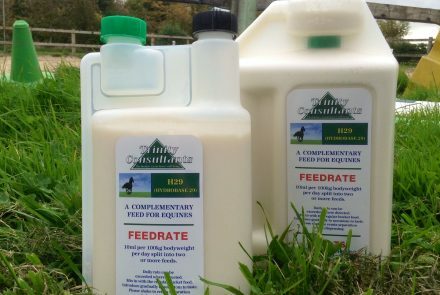 Feedrate – 42ml per day – 3 Measures daily one in the morning and two measures at night. Composition – 20% Turbinella pyrum (processed), 20% Symphytum officinalis, 24.4% Chamomilla recutita, 10% Glycyrrhiza glabra, 10% Ulmus fulva, 5% Althaea officinalis, 10% Cinnamomum zeylanica, 0.6% Stevia rotundifolia extract. Cannot rate this product enough. 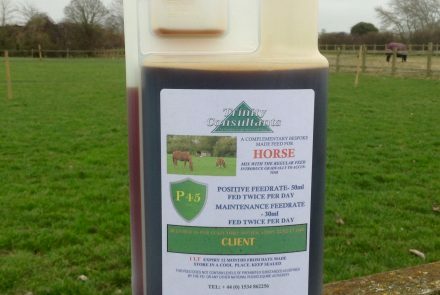 After years of liver issues and EPSM diagnosis for my young gelding I finally went with my “gut” instinct and looked for a product for ulcers/leaky gut. 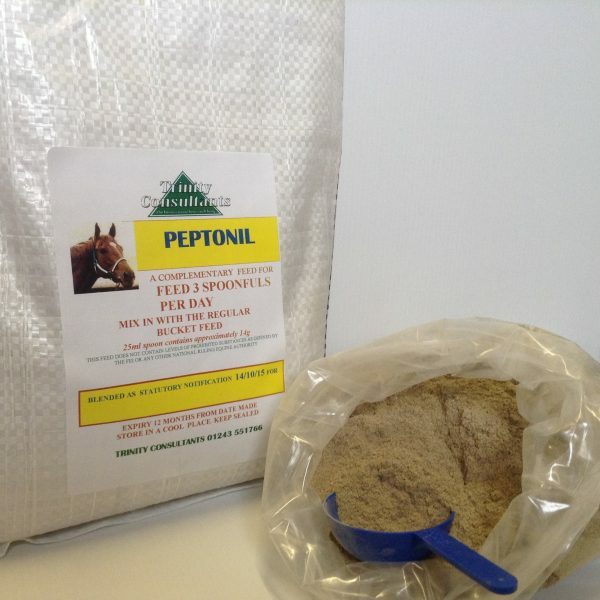 Trialled Peptonil for 10 days and the change was almost overnight. He was so much calmer, more forward, happier to be girthed. 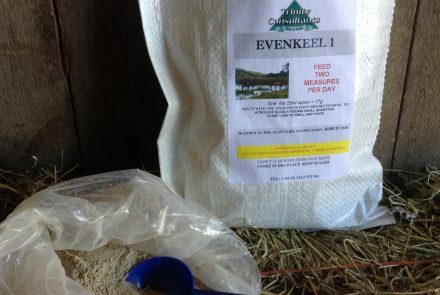 I’d definitely recommend giving the 10 day trial (500g pack) a try – you’ve got nothing to lost and if it works a ton to gain! Hi Sharon, that’s really great news so pleased the Peptonil is working for you and thank you for your kind comment. 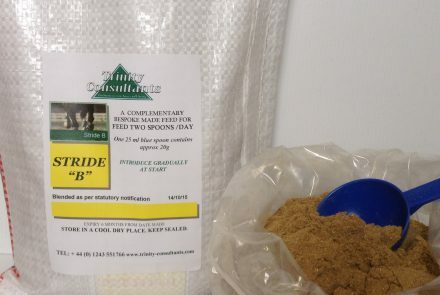 Fantastic product. 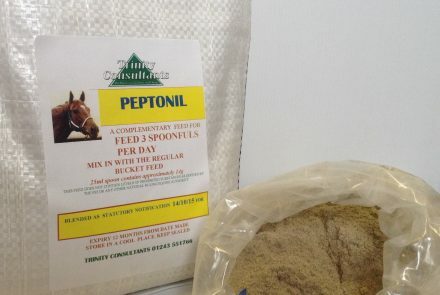 Would highly recommend for any horse with gut issues.